The Governor’s Budget proposal is still the top story (see MOORLACH UPDATE — Governor’s 2016-17 Proposed Budget — January 8, 2016 january 8, 2016 john moorlach). Early Thursday morning we provided information to the media and we could see fingerprints from this effort at the press conference, during the question and answer segment between the media and the Governor. 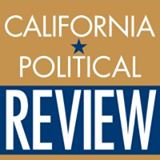 Our press release is in the California Political Review piece, which is the first one below. For interviews done by the Sacramento Bee, see http://www.sacbee.com/news/politics-government/article53555500.html. For a front-row seat editorial review of the Budget press conference, see the San Diego Union Tribune piece, the second below. The third piece is from the Banning-Beaumont Patch, which addressed a couple of the concerns raised in our press release. The fourth and fifth pieces, from QuadrangleOnline.com and Farandu Life, are edited down to show only my quotes. Yesterday morning former Orange County Assessor, Webster Guillory, received his sentence (see MOORLACH UPDATE — Outstanding Public Servant — November 19, 2015 november 19, 2015 john moorlach). I’m glad the judge was sensitive to the legacy provided to Orange County by Mr. Guillory. It’s reported in the OC Register in the final piece below. I bet not a single media will tell the truth that we are running a massive deficit every year—in fact, we have been running deficits EVERY years since 1998. That is why, per the State Treasurer, we have a $1.5 trillion debt. Then to make it worse, CalPERS has been lying about its return on investment. “NOTE: For the 2014/15 fiscal year, CalPERS planned for a 7.5% rate of return, but only managed a 2.4% rate of return.” Again, the media refuses to tell the public the truth. Government lies—get used to it. 1. California’s Net Financial PositionCA’s “net” financial position is a $117 billion deficit, ($3,014 per person) according to the most recent Comprehensive Annual Financial Report (CAFR). 3. Current Unfunded Retiree Medical Liability CA has the nation’s highest unfunded retiree medical liability at $71.8 billion. State Senator John Moorlach represents the 37th district of California, is a trained Certified Financial Planner and is the only trained CPA in the California State Senate. He gained national attention 20 years ago when he was appointed Orange County Treasurer-Tax Collector and helped the County recover from its bankruptcy filing – at the time the largest municipal bankruptcy in U.S. History. There was almost no need to attend the Capitol press conference where Gov. Jerry Brown released his 2016 to 2017 budget given that it played like a rerun from last year and the year before. To the chagrin of some and applause of others, Brown stuck to the same themes. He wants to spend more, but mainly on one-time expenses that don’t lock the state into deficits in case of an inevitable recession. He made it clear a downturn is coming. Governors don’t usually warn about recessions when times are good, but Brown held up a chart – the same basic one he displayed every year – with the title: “More permanent spending, combined with recession, would be devastating.” It shows that since 2000 the years with budget deficits outnumber those with surpluses. And the sum of those deficits – nearly $40 billion in 2009-2010, for instance – are seven times larger than surpluses. “If you’re a betting person, you can easily conclude that deficits are more likely than surpluses…,” Brown said. “But embarking on new permanent commitments that will be … something that’s expected to continue … and you get a recession you get a $43 billion deficit within three years.” He said recoveries usually last five years – and this current one has gone on longer than that. These are sobering words, especially given that legislative leaders from his party are chomping at the bit to spend more money given the budget is showing a decent surplus. Brown described his budget as being in good shape, but said, and he emphasized the word, it’s only relative. It’s better than past budgets, but the state is not out of the woods, yet. “All things considered, Brown’s most important political ally continues to be the stock market,” observed the Los Angeles Times. That’s true – but the market hasn’t been much of a friend since the beginning of January. The markets posted their worst-ever start to a New Year in history, and were in a free fall at the time of the press conference. That reinforced the governor’s point – bad times always are just around the corner. The governor was his usual funny self. When discussing ballot measures such as marijuana legalization and gun control, he retorted: “Don’t smoke marijuana when using your gun.” He also seemed firm in his opposition to extending the “temporary” Proposition 30 tax hikes. That was music to the ears of legislative Republicans. Same with his plan to pitch in another $2 billion to the state’s rainy day fund. Republicans focused their critique on the ongoing political battle over a proposed tax on managed care organizations. Brown needs some GOP votes to approve a tax on health plans in response to demands from the federal government. Boosting the tax would make the state eligible for more than $1 billion in continued matching funds, and the governor said he would use the dollars for programs for the developmentally disabled. But Republicans have accused the governor of unfairly tying the tax hike to such spending. “It’s a shame that this governor continues to use our most vulnerable and unfortunate citizens as pawns in a political chess game to further raise taxes here in California,” said Sen. Joel Anderson, R-El Cajon, in a statement. Republicans also complained about an insufficient emphasis on transportation funding. Myriad interest groups sent out their usual statements calling for more funding for their pet projects. The California School Boards Association applauded the additional $3.2 billion the budget earmarks for public schools, but said the state still lags most other states in school spending. The Health and Human Services network held statewide rallies demanding more spending for anti-poverty programs. The governor’s general-fund budget tops $122 billion (an increase of 5.6 percent from last year) and the total budget tops $170 billion. Those are big numbers. Sen. John Moorlach, R-Orange County, said the state faces a $117 billion deficit when its unfunded pension and medical-care liabilities are considered. The governor plans to negotiate with state employees over those medical liabilities but has little in store for pension debts, which will get worse if the stock market continues its slide. So this is no time to go on a spending binge. That message may be a repeat from last years, but it’s always a good one to keep in mind. Greenhut is the Union-Tribune’s California columnist. Local leaders met the governor’s budget proposal with modest reviews this week. Riverside County lawmakers Thursday offered a tepid response to the $122.6 billion budget blueprint released by Gov. Jerry Brown, lauding his desire to restrain spending but questioning some of his other goals. “I am pleased the governor continues to demonstrate moderate fiscal restraint in his 2016-17 spending plan,” said Assemblywoman Melissa Melendez, R-Lake Elsinore, who serves as vice chair of the Assembly Budget Committee. “However, I remain concerned with the direction of some of his proposed spending priorities. “Continued economic growth and new jobs for middle and low-income Californians depend on good roads, improved water infrastructure designed to handle future droughts, well-funded classrooms built to meet the needs of today’s workforce and paying off unemployment insurance debt that is crippling employers. Brown’s 265-page plan touted the “elimination” of the $26.6 billion on- budget deficit that he inherited in 2010, as well as the fact that “education funding is at its highest level ever,” and that nearly $400 million would be available to “low-wage working families” in the form of earned income tax credits. But the governor cautioned the Legislature against big spending proposals. Brown called for boosting the state’s rainy day fund by $2 billion for contingencies and allocating $740 million for Medi-Cal. He wants K-12 spending at $10,591 per student — a nearly 50 percent increase over funding levels of five years ago. The governor is also advocating a cap on state tuition for University of California and Cal State campuses, holding fees at 2011 levels. The governor will press for an $807 million commitment to make improvements to levees, parks, prisons and other state facilities. He also submitted a $36 billion infrastructure improvement plan to fix California’s highways and roads — ranked near the bottom nationally — over the next decade. Stone’s Republican colleague, budget hawk Sen. John Moorlach of Costa Mesa, said he was most concerned by what was missing in the governor’s to-do list, including rectifying the state’s ballooning unfunded pension obligations, which are carried off-budget and total an estimated $181.5 billion. Moorlach, a certified public accountant, also worried about the lingering $8 billion that California owes the federal government for unemployment insurance debt incurred during the Great Recession and the high gasoline taxes that Californians pay — without commensurate investment in transportation infrastructure. The cumulative pump tax is 56 cents per gallon, according to the California Energy Commission. State oil producers and transporters are also saddled with cap-and-trade obligations, requiring them to purchase “allowances” to do business under California’s strict environmental regulatory apparatus. How much of those expenses are passed on to consumers is a matter of dispute. Brown said he will endeavor to expand that cap-and-trade program in the next fiscal year. Brown provides enough so the California State University and University of California systems won’t raise tuition. John Moorlach of Costa Mesa, said he was most concerned by what was missing in the governor’s to-do list, including rectifying the state’s ballooning unfunded pension obligations, which are carried off-budget and total an estimated $181.5 billion. John Moorlach, R-Orange County, said the state faces a $117 billion deficit when its unfunded pension and medical-care liabilities are considered. Former county Assessor Webster Guillory will serve 240 hours of community service and pay a $500 fine for committing two misdemeanor counts of election fraud, a Superior Court judge ordered Friday. A jury in November found Guillory guilty of wrongly signing two candidate nominating petitions for his failed 2014 reelection bid. His signatures indicated that he had collected the names on the nominating documents from voters. Although he did circulate two petitions, he signed two others that he had not circulated. Guillory claimed it was an honest mistake, but the jury agreed with the prosecutor that he signed petitions he knew he hadn’t circulated himself. Following the sentencing hearing, Guillory, 71, said he had not decided whether to appeal the conviction but sounded upbeat about simply serving the sentence. Before losing the election, had served 30 years as a county employee, including 16 as assessor. He faced a maximum penalty was two years in jail and a fine of $2,000, but Deputy District Attorney Brock Zimmon noted Guillory’s years of unblemished county employment in requesting community service, court fees and a $1,000 fine. Noting Guillory’s long service to the county and his lack of criminal background, Superior Court Judge Thomas Glazier knocked the fine down to $500 but kept the community service and court fees. He denied the requests of Guillory attorney John Barnett for a post-verdict acquittal and for a new trial. “This court finds that there is substantial credible evidence … to prove the crimes charged beyond a reasonable doubt,” Glazier said. District Attorney Tony Rackauckas‘ office originally filed three felony counts against Guillory two months before the November 2014 election — charges that were then trumpeted by the campaign of opponent Claude Parrish. Guillory, who had outpolled former Board of Equalization member Parrish by 2 percentage points in the June primary, lost the November runoff by 6 points. Guillory beat Parrish by 8 points in 2010. Following Guillory’s loss and before going to trial, Superior Court Judge Gassia Apkarian ruled that there was insufficient evidence for the three felonies and instead allowed prosecutors to proceed with two misdemeanors. Some — including state Sen. and former county Supervisor John Moorlach — have criticized prosecutors for spending the time and resources pursuing what they say were technical violations. But Rackauckas Chief of Staff Susan Schroeder has responded that her office has a responsibility to prosecute wrongdoing where they found it. Rackauckus and Parrish are Republicans. Guillory is not affiliated with a party. Guillory had been planning to retire last year but made a last-minute decision to seek re-election when his preferred successor decided not to run.